Did you have eczema as a kid and now get hay fever as an adult? Does your child have red, itchy rashes while you or your partner have seasonal allergies or asthma? If so, it's no coincidence. Studies show that if one or both parents have eczema, asthma, or seasonal allergies, their child is more likely to have eczema. What's more, children with the disease may be more at risk for getting allergies or asthma. Scientists are still studying the link between the conditions. But understanding the connection can help you manage the disease. Eczema is the term for a few different skin conditions. But most of the time, it refers to a common skin disease called atopic dermatitis, which causes a dry, itchy, red rash. If you scratch it, it can start to ooze and crust over. Do it over a long period of time, and your skin can get thick and dark. Most people with eczema get it as children. Symptoms often improve by age 5 or 6, and flare-ups stop for more than half of kids by their teenage years. But many people still have the disease as adults, though their symptoms tend to be milder. It’s less common to get eczema for the first time as an adult. Children with eczema are also more likely to have food allergies, such as to eggs, nuts, or milk. They often make eczema symptoms worse for kids but not for adults. How the body reacts to allergens. Some research has found that people with eczema may have a defect in their skin barrier. Small gaps in the skin make it dry out quickly, and let germs and allergens into the body. When allergens enter the skin, they prompt the body to make chemicals that lead to redness and swelling, called inflammation. Research also points to a problem with a type of white blood cell that releases chemicals that help control allergic reactions in the body. This may help explain why people with eczema have outbreaks when they’re around allergens. Too many antibodies. Immunoglobulin E (IgE) is a type of antibody that plays a role in the body's allergic response. People with eczema have higher-than-normal levels of it. Researchers are working to understand why people with the skin condition make too much IgE and what role this may play in the disease. Keep an eczema journal. Write down where you were and what you were doing when your symptoms flared up. It can help you figure out what things might be triggering them. Share the journal with your doctor during appointments. Stay away from things that irritate your skin. Common ones include wool, soaps and detergents, perfume, chemicals, sand, and cigarette smoke. Avoid allergy triggers. Pollen, mold, pet dander, dust mites, and other allergens may make eczema flare up. 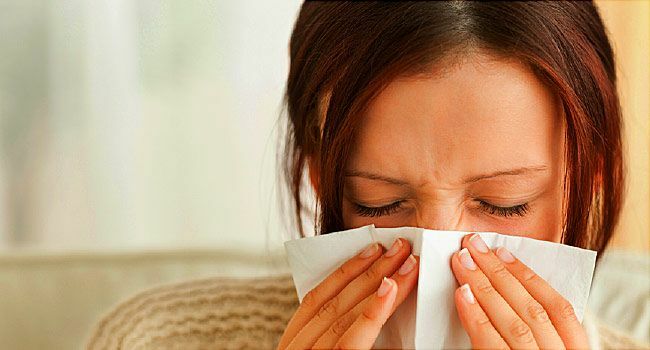 You could try a dust-proof mattress and pillow covers, remove carpets, avoid contact with animals, and stay indoors when pollen counts are high. U.S. Department of Health and Human Services: "Atopic Dermatitis." Asthma and Allergy Foundation of America: "Atopic Dermatitis (Eczema.)" American Academy of Dermatology: "Atopic Dermatitis: Who Gets and Causes." EczemaNet: "Types of Eczema: Atopic Dermatitis." Eczema.org: "Dry skin and atopic eczema: An Update on the Filaggrin Story... What Does It Mean to You?" Sandilands, A. Journal of Cell Science; May 1, 2009. National Eczema Association: "Research Confirms Genetic Skin Barrier Linked to Eczema."